One of the most celebrated and storied British racing cars of all time is set to be the main attraction of the Bonhams Festival of Speed sale at Goodwood on 13 July 2018. In 1961 and ’62, 2VEV took on the cream of the GT World Championship crop, battling against Ferrari’s 250 GTO in all the great races of the time. Along with its sister car 1VEV, 2VEV was run in period by the Aston-backed Essex Racing Stable. Being a quasi-works team, 2VEV was configured in ultra-light DP209 specification – one of only three DB4 GT Zs ever to be as such. During its racing career the car had its share of mishaps, including a crash at Spa-Francorchamps early in 1962. 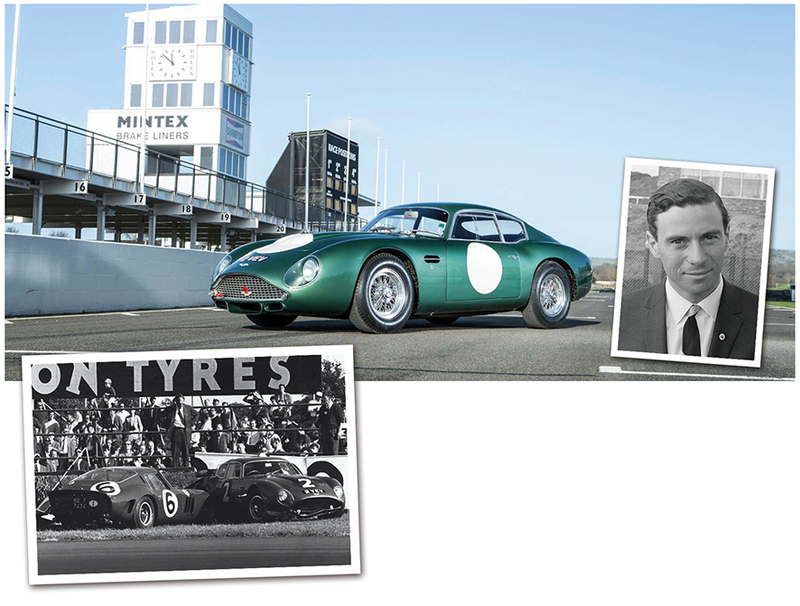 2VEV was repaired but only weeks later was to be involved in the incident for which it is most well-known (pictured above left): with the legendary Jim Clark (above right in 1965) behind the wheel in the RAC Tourist Trophy race at Goodwood. 2VEV is being offered for sale for the first time in 47 years during which it has been in single family owner-ship. The car was bought by the late Roger St John Hart in 1971 – for £3,600. 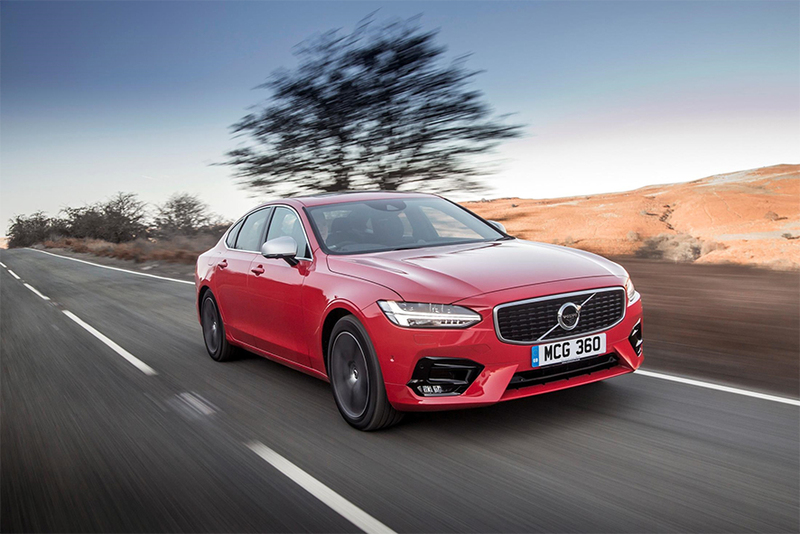 Volvo has triumphed in the style stakes in a pop-ular vote that ranks the premium Swedish brand first when it comes to the UK’s best-looking cars. The company has seen off all competition in a poll by Car Buyer that saw Volvo garnering more votes than Land Rover, Mercedes-Benz and Audi, and doing comfortably better than all other premium brands, which languished outside the top 10. Britain’s drivers were quick to applaud the cool, elegant Scandinavian lines of Volvo’s model range, backing up the opinions of industry experts who have be stowed a series of top honours on the company’s latest products, including the World Car of the Year title for the XC60 mid-size SUV and European Car of the Year for the XC40 compact SUV. Tellingly, the thousand-plus people taking part in the poll could ‘down-vote’ manufactur-ers as well as promoting the chances of those they favoured. Volvo has placed a special emphasis on designing less-cluttered car interiors that make the business of driving simpler, with fewer distract-ions to take the driver’s attention away from the road ahead. They also make great use of natural materials such as wood and leather to emphasise quality, and craftsmanship. 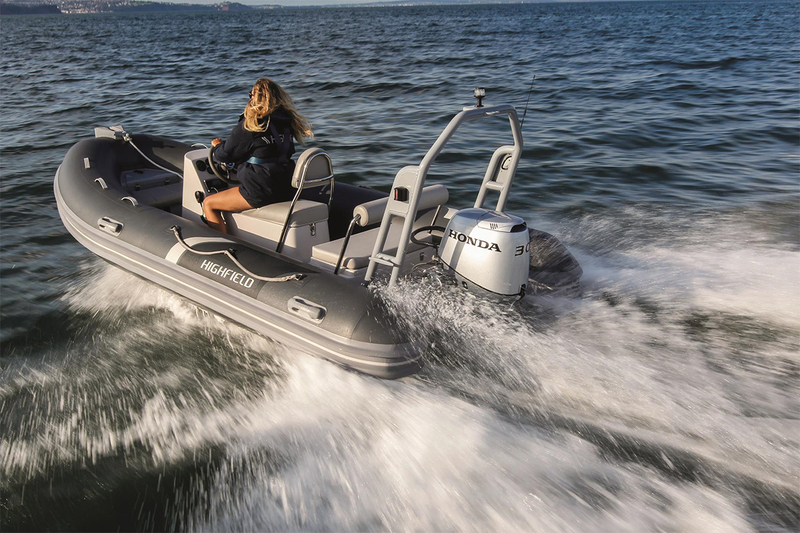 Honda (UK) is offering up to £600 off its entire range of small and mid-range outboard engines in its ‘Summer Savings’ campaign running now until the end of September. The savings apply across the line-up from the BF2.3, BF4, and BF5 at £50 off, up to the BF60, at £600 off. The bigger the engine, the bigger the discount. What’s more, customers looking to buy a new outboard with a Honwave inflatable qualify for even further savings with up to an additional £150 on any Honda outboard from the BF2.3 up to the BF20 – meaning a total saving of £350 for a customer opting for a Honwave paired with a BF20. All savings include VAT. Featuring many unique innovations, and trademark silver finish, the line-up has something for everyone from the entry-level BF2.3 up to the range-topping BF250, a V6 engine with Honda’s renowned VTEC technology. With the additional savings to be had when buying a Honwave inflatable with a new outboard, Honda say there’s never been a better time to get out on the water in the ultimate portable craft. Super-light and small enough to simply fold up and put in the boot of the car, yet made of high quality PVC for ultra-durability, the Honwave range is perfect for exploring the coast, a spot of fishing, or simply gliding over the open water. Milk & More, Britain’s largest milk delivery service is rolling out its quietest and most environmentally friendly delivery vehicles to date, following its purchase of 200 electric StreetScooters. 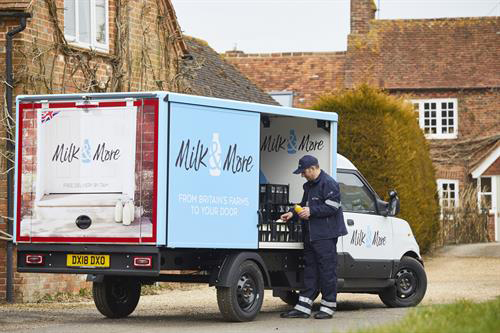 The £6.5 million investment in the StreetScooters is part of Milk & More’s strategy to secure the future of the much-loved British milkman and makes the business one of the largest operators of electric vehicles in the country. The new fleet of electric floats is the first of its kind in the UK and represents the latest step as the brand continues to transform its operation in 2018. Milk & More is also the first UK company to operate the StreetScooter EV van, which is currently only used in Germany by Deutsche Post. Powered by rechargeable batteries, the StreetScooters are replacing diesel vehicles on urban roads and with Milk & More’s existing 200 electric milk floats, this means that a third of the fleet will now be electric. Noise reduction is a key customer benefit of the new floats and a very important one, given that many of the milkmen and women deliver to customers’ homes mostly by 7am. The StreetScooters have a 905kg payload and an eight-metre cube box, enabling Milk & More to carry 860 pints of milk at a time, as well as an extensive range of high quality locally sourced products – from bacon and bread to cereals and juice. The new floats have zero emissions and a range of up to 75 miles. Economical to run, in the first month of operation, Milk & More has seen a 90 per cent reduction on operational fuel costs, versus the outgoing diesel vehicles. Patrick Müller, CEO of Milk & More, said: “We are already seeing the results of this strategy with a significant increase of 40,000 new online customers since January 2018, and the StreetScooter certainly helps us make this iconic tradition relevant to 21st century customers. It’s an exciting time for the business”. Surprising new evidence reveals that there are more people aged 65 and over going online to pre-book parking compared to teenagers and those in their early 20s. The figures released by YourParkingSpace.co.uk reveals that 10 per cent of its bookings come from those aged over 65. This compares to just 6 per cent from those aged 18 to 24. Harrison Woods, managing director at Your-ParkingSpace.co.uk, said: “Our evidence suggests there is a generation gap when it comes to going online to pre-book parking, but it’s not what you’d expect it to be. “People aged 65 and over are going online in their thousands and outsmarting the much, much younger generation by finding parking bargains galore. 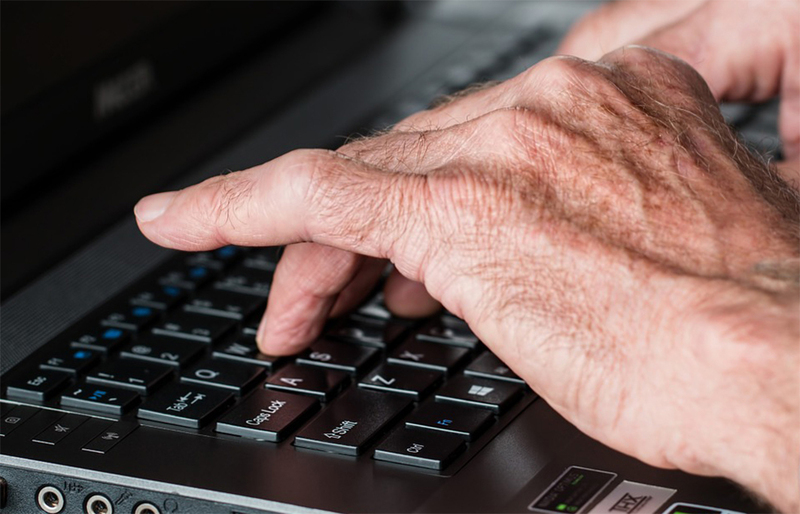 Further evidence released by online parking por-tal YourParkingSpace.co.uk shows that whilst, overall, over half of its bookings come from mob-iles, those aged over 65 actually favour booking via a desktop with only 7 per cent using a mobile. Overall, most users of YourParkingSpace.co.uk are male, with men making 55 per cent of bookings.